These superb textured and extraordinarily versatile bamboo hammam towel is beautifully hand-loomed. It is totally flat woven with no fluffs, hence super lightweight and compact. Due to bamboo blend, this hammam towel is remarkably soft and gentle to the skin. 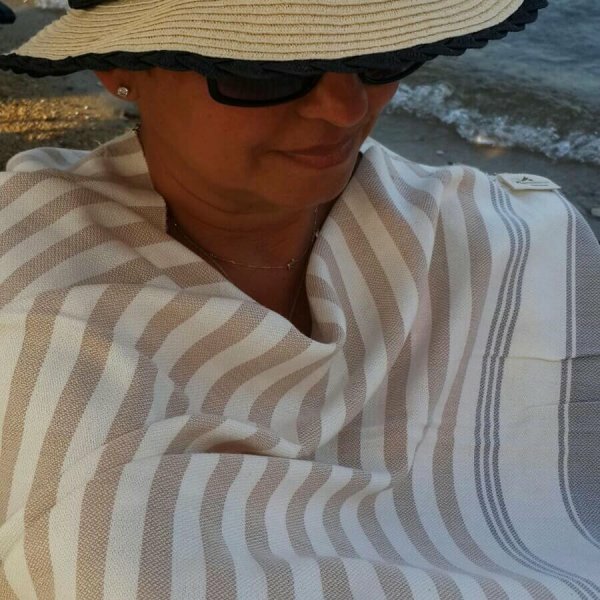 Exquisite bamboo hammam towel is great as travel towels as it is fantastically compact and quick drying. It is ideal for beach holidays, camping, sailing, backpacking, gym bags. 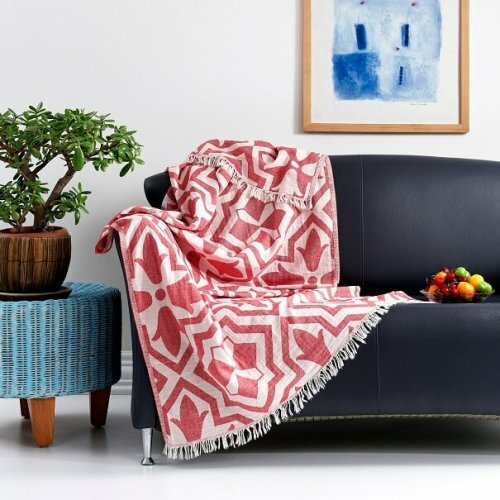 You can use it as a sarong, mini blanket on the go, modesty cover and more. It is absolutely a gem for saving space with no compromise in quality and elegance. 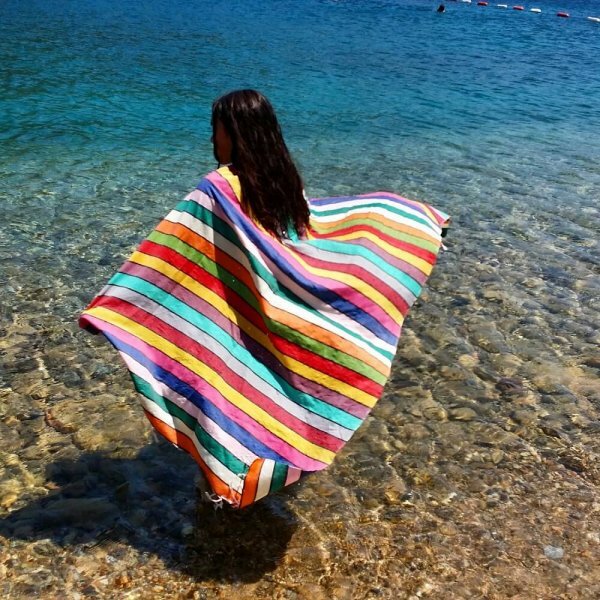 Bamboo hammam towels, in general, are the lightest of their kind hence they are really ideal for any outdoor activities. They have perfect drying properties. 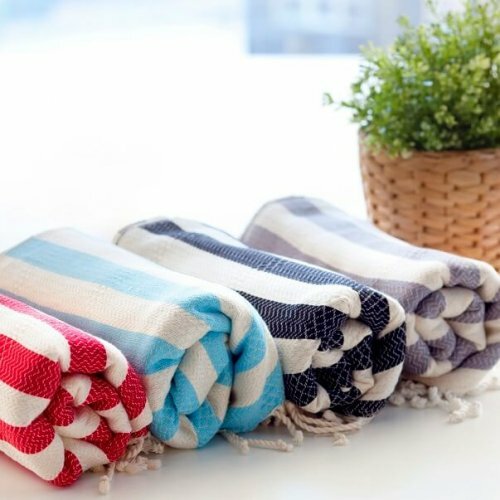 Exquisite bamboo hammam towels are a good alternative for those who are not very keen on stripes. The mini crow’s foot pattern all over the body of the towel looks elegant and offers a nice alternative to the stripy ones. To view Cotton & Olive’s other bamboo hammam towels, please click in here. 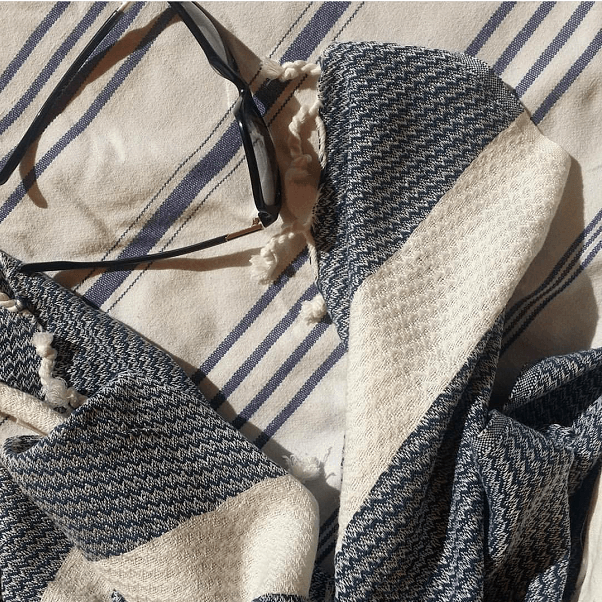 I have been using Cotton&Olive’s Bamboo Peshtemal towels all summer; they are a joy to have, super absorbent, light, and very pleasing to the eye, so convenient to have, a pleasure to use. Highly recommended! 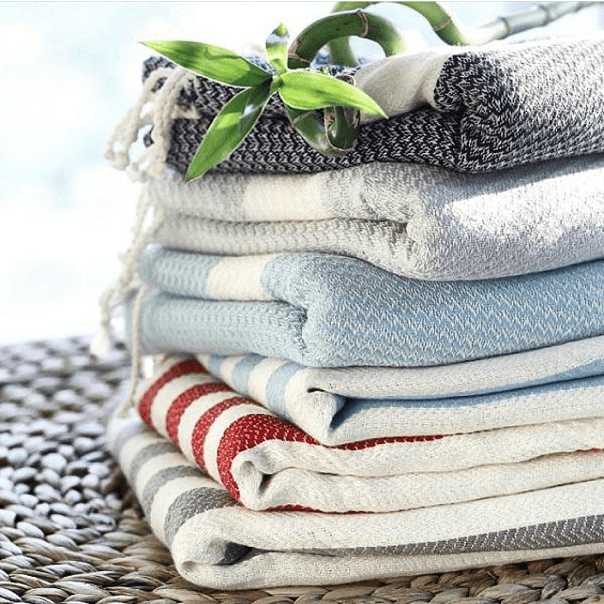 I have been using pestemal towels for years and love them so much. 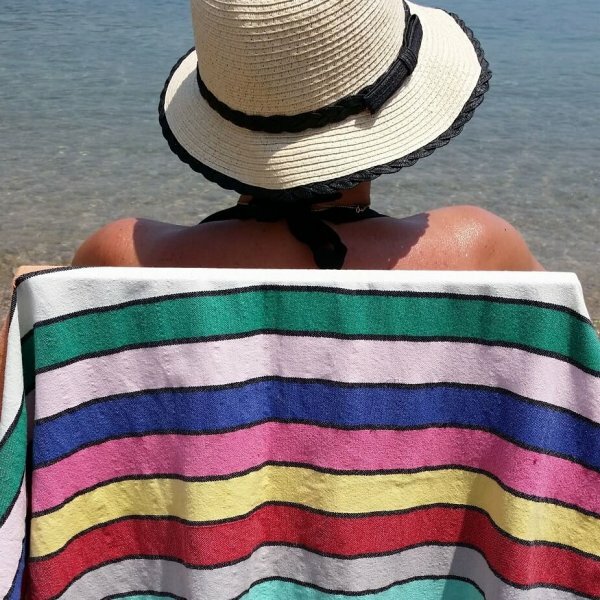 They are the perfect beach towel – light to carry so it is easy to take one for all five of us, good to use on the sun lounger and then easy to wrap around yourself if you need to go anywhere. The children use them on the hot sand too. I usually take a small version too for wiping off sand etc. They dry out in no time. I have also used them as spontaneous picnic rugs! 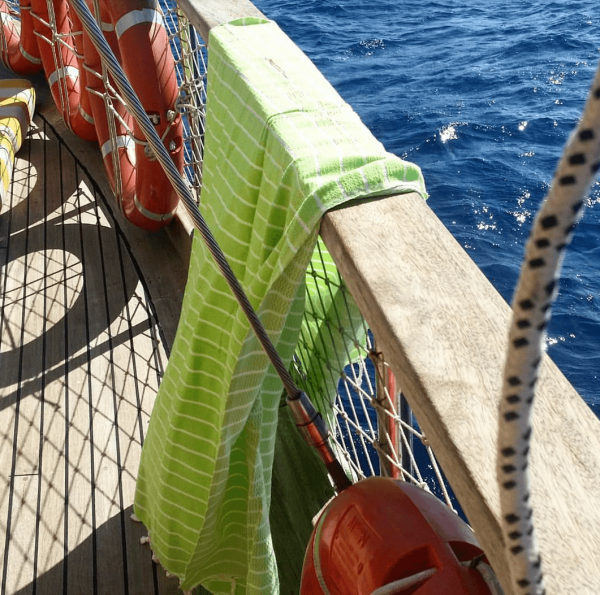 We took our towels with us on our holiday to Turkey; they are light, absorb an enormous amount of water and dry quickly. My 21 year old son took them to France and really liked them too. I can highly recommend these wonderful towels! These are great! We have purchased 4 in my family And use them all the time. Really recommend purchasing. Absolutely love this towel. Although it’s not as soft as I expected after I washed it, I have full confidence that like all peshtemal towels it will soften in time. I have a few other Turkish towels already and I think this is my favourite for the shower. What i’m most amazed about is how absorbent it is. It dries me and my hair after a bath easily, and doesn’t stay damp, making my bathroom musty. Completely love it and will look at buying more!